Whose Fault Is It? Does It Matter? Chances are, if you’re getting divorced, you and your spouse won’t agree on many things. 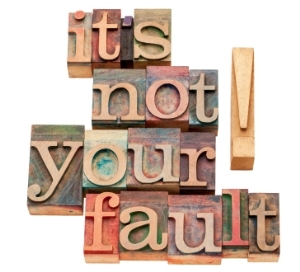 Why should determining who’s at fault for the divorce be any different? But you’re in luck. Since the 70’s, Michigan has not required couples to show fault to get a divorce, but it may be relevant to custody, property and support. At Corriveau Family Law, in Northville, our attorneys have been helping people protect their rights in divorce since 1976. You can trust us to provide you with the good legal advice and emotional support you need to get through this difficult time in your life. When it’s time to leave Eden, we help Eve find a fresh start. What Does No-Fault Divorce Mean? Unlike many things in life, no-fault divorce is as simple as it sounds. Michigan is a no-fault divorce state, meaning that no fault is assigned to either party for the break up for the marriage dissolution. With that being said, if infidelity or fraud did occur, it may help in seeking custody and alimony, commonly known today as spousal support, and it may be a factor in a property division settlement. Regardless of what caused your marriage to break up, it’s important to begin planning for your life during and after divorce. Your divorce doesn’t have to be a bad thing, it can offer you the chance to find a fresh start. Regardless of who’s at fault for your divorce is, we can help you protect your rights and make sure your children are taken care of.